The very first thing you’ll see upon loading Banana Kong up is not the title screen but an ad. I mean it’s a free to play game after all but maybe wait until I’ve actually seen the title screen of the game first? 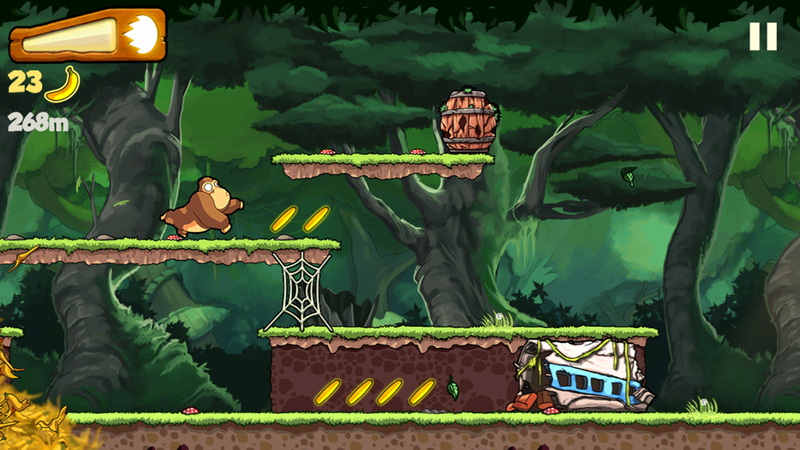 So Banana Kong intrigued me while looking for some 8/16-bit style platformer games (was hoping for more of a Donkey Kong kind of game). Visually it looked quite nice but after pressing play its problems became apparent very quickly. 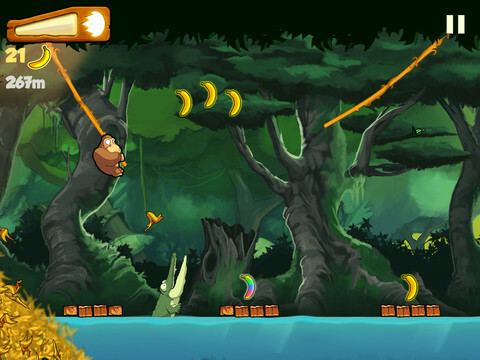 An endless runner where you control the jump, parachute & dash abilities of an ape who is trying to escape an avalanche of bananas. All while collecting bananas & dodging many different hazards & obstacles. New paths can open with tougher routes but the goal still remains to make it as far as you possibly can. Should you take a hit you can revive yourself for a golden heart & carry on (the amount increase in number after each revive). This brings me nicely to the dominant part of the game…the shop. 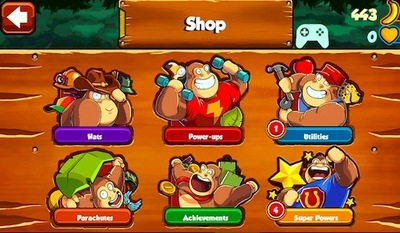 The bananas you collect in the levels do serve some purpose; in the shop you can trade them in for hats, parachutes, one-use only utilities & power-ups. It’s not exactly a generous game & after 30+ runs I had only amassed 659 bananas when an extra life costs 2500. For a game that only really has about 5 minutes of fun, it’s just not worth putting time into it to get a one-time use item that will be gone in an instant. £4.49 will give you the ‘Lucky Charm’ which saves you from your first crash every time. Wow, what a bargain! 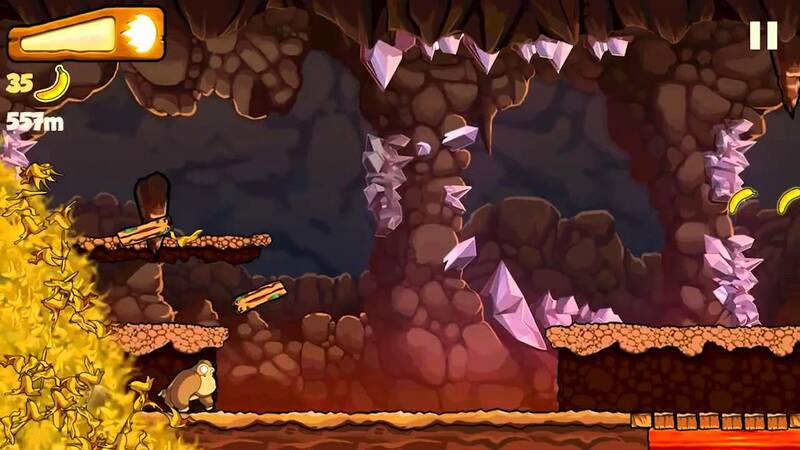 It’s rare that any endless runner is anything more than 5 minutes of fun but few try to attack your wallet with as much vigour as Banana Kong.